Would you use a contractor who has problems with their contractor registration, insurance, licence or ABN? Our Contractor Audit ensures that all required contractor registrations, licenses and insurances are current and verified. Verify that the business operates within local, state and federal laws, procedures, and regulations. Make recommendations to clients of noncompliant businesses and schedule future audits to monitor progress and adherence. Review records to verify that all duties have been completed in accordance with regulations. Contractor Compliance Australia Pty Ltd has been granted accreditation to the Industrial Relations Auditor Scheme for services to the ACT Government since 2012. The ACT Government has introduced the Compliance with Industrial Relations and Employment Obligations Strategy (Strategy). You may obtain a copy of the Strategy from the ACT Government Website ( click here ). The Strategy is part of a package of ACT Government initiatives being introduced to ensure industrial relations and employment compliance best practice is part of the culture of the construction industry. 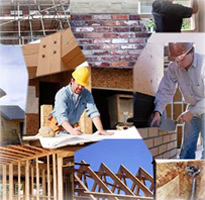 Contractors (this includes project managers, head contractors, sub-contractors and trade contractors) will be permitted to tender for building work or be engaged to perform building work on any ACT Government site on condition that they hold a current Industrial Relations and Employment Certificate (IRE Certificate). Contractors must maintain a current IRE Certificate before they are engaged on any ACT Government site. The Strategy commenced on 1 July 2011. It is intended that contractors will be requires to hold an IRE Certificate to work on ACT Government projects from 1 January 2012. Further details regarding timing for the implementation of the Strategy will be provided to stakeholders when available. (b) conducting random Project Compliance Audits on Act Government projects as and when requested by the ACT Government. (2)The Territory will consider the issue of an IRE Certificate to the contractor when a contractor provides the Territory with their IRE Application Report, which contains a recommendation by the Approved Auditor to issue an IRE Certificate. 4. Principal contractors/Project managers – Online Portal to access contractor CCA reports and level of compliance. Principal Contractors/projects managers have 24/7 access to the CCA reports for all contractors on their projects or our State and Territory database of current compliant contractors. CCA have a specialised team that conduct intensive Wage Audits: ensuring all employees have been paid their correct entitlements as required by Fair Work ACT 2009. For further information please contact our office on 1300 795 055.